As much as I am here to teach girls some new skills, they also teach me, too. They teach me how resilient the human spirit is, and how girls are girls, and children are children, the world over. 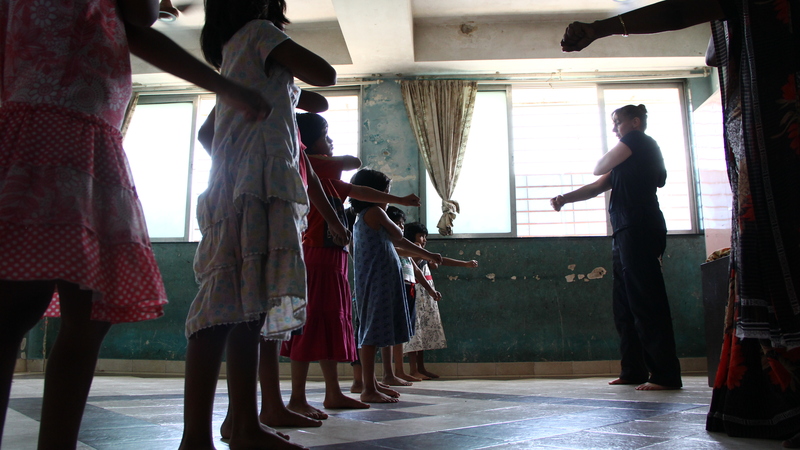 Here is a snap from a class where I am teaching 6 to 8 year olds how to do a downward block, and they are showing me how incredibly adept they are at learning.